Reishi mushroom has been described as a tough and “woody” fungus that packs a punch. This unique mushroom is not only known for its medicinal properties, but also for its nutritional value. 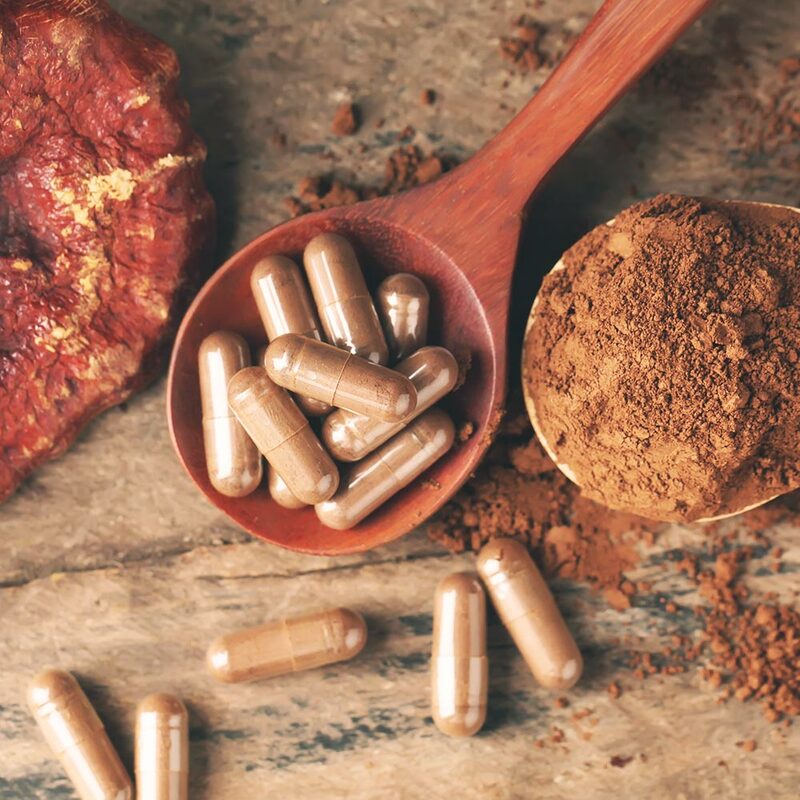 Reishi is used for immune system support, stress balance, and mood supporting benefits. So how does this all work? Reishi mushroom contains a variety of medicinal compounds that are released and activated in the body to support various functions. There are many different kinds of Reishi mushroom that are used for healing support in the body. Each different mushroom has a different internal make-up with a variety of benefits to the user. Ganoderma lucidum is the most commonly found Reishi mushroom. It’s most known for its deep red color and regenerative abilities. lucidum first emerged in traditional Chinese medicine over 2,000 years ago. It has been around for so long that people refer to it as the “Ten Thousand Year Mushroom.” Over time, medical professionals have been able to cultivate Ganoderma lucidum for its nutritional and healing value. lucidum has up to 400 nutrients! It contains Vitamin A, protein, potassium, calcium, and the list goes on. All these complex vitamins work together to maintain and support the body’s organ wellness. This includes support for heart health, liver protection, kidney protection, and immune system support. On top of that, lucidum is just as great for outside of your body too. It helps to support healthy aging, weight gain, and inflammation. Harmful toxins and excess intake of unhealthy food often build up. This is perfect for promoting faster detoxification in the body, which in turn, allows the user to take in more oxygen. This leads to a much better and stronger health stage for the body and the mind. Ganoderma applanatum is most commonly known as “artist’s conk.” applanatum got this nickname from it’s very sturdy yet supple texture that was perfect for etching. People can leave intricate drawings on palms of the mushroom. However, because of applanatum’s canvas-like body, it cannot be eaten directly. On the other hand, the woody mushroom can be boiled down, offering a variety of benefits that compliment the body. 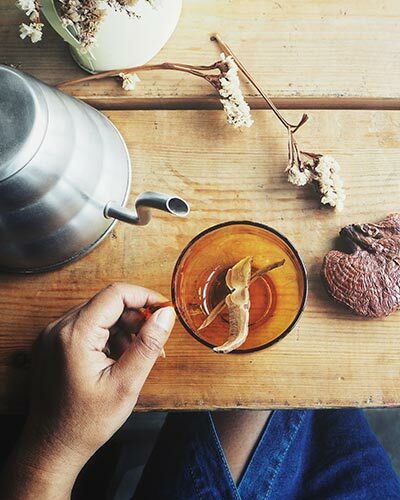 Many users usually seep the mushrooms in water to create an earthy tea. Applanatum contains antibacterial and anti-inflammatory properties. The mushroom specifically helps support circulation in the respiratory system. Ganoderma tsugae has a very distinct appearance, making it easy to pick out from the rest. It is shaped by a car kidney bran with a shiny outer layer. This mushroom also loves to grow on hemlock like a garnish. tsugae is closer related to lucidum’s inner layer properties as well as its medicinal properties. The two mushrooms are almost identical in the support they offer the user. However, there are a few varying factors. tsugae is most known for its antioxidant value. It’s the best of the 3 types of Reishi for supporting the removal of harmful oxidants from the body naturally. You will have a hard time finding these three different types of Reishi in local stores. But here at Aloha Medicinals, we have them all! 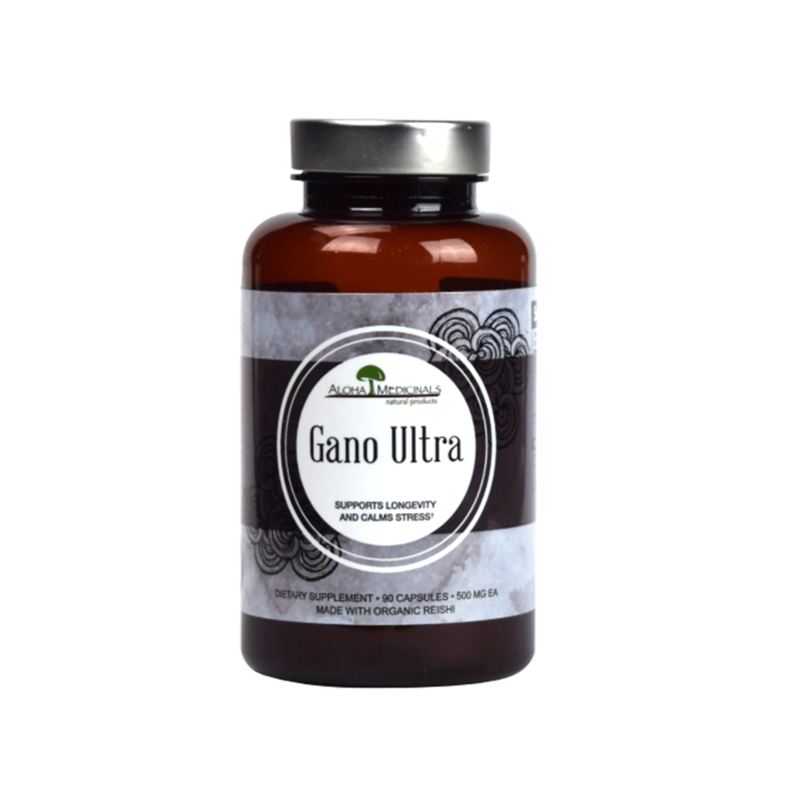 GanoUltra™ is one of our best selling products that contains our proprietary blend of all three Reishi mushrooms. GanoUltra™ is known for its immune system support, anti-inflammatory properties, anti-aging support, cardiovascular support, antioxidant properties, antibacterial benefits, and mood-balancing benefits. Here at Aloha Medicinals, we offer our GanoUltra™ product in two different forms. First, you can purchase a bottle of powder filled capsules. Some of our customers prefer capsules because they are convenient and can be taken while on the go. Other customers prefer to purchase a kilogram bag of GanoUltra™ powder because it offers them more flexibility. If you choose to purchase a bag of powder, you can add a teaspoon of GanoUltra™ powder to your daily shake, smoothie, coffee, tea, or any other recipe. 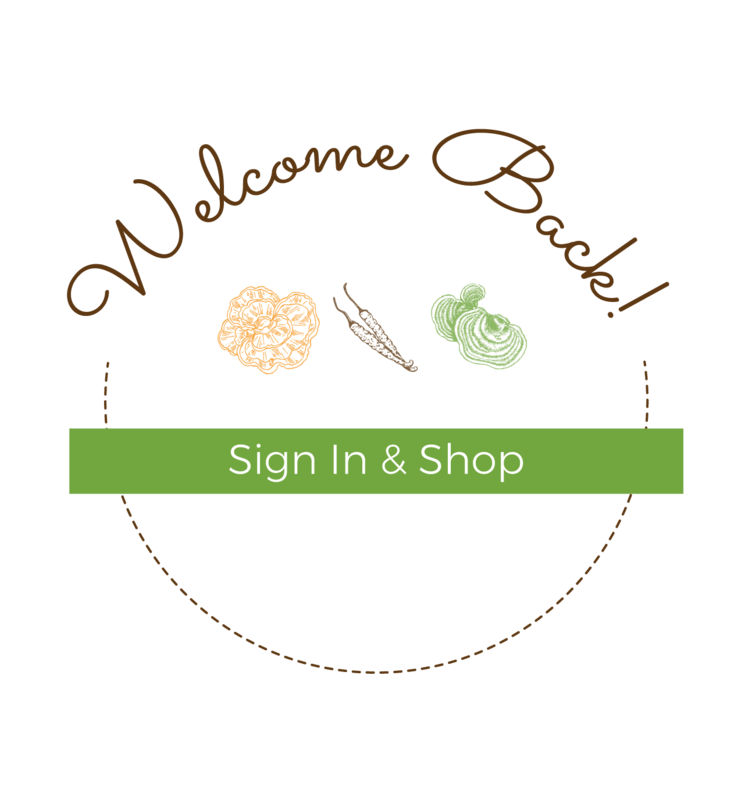 This option is great for those who already have a daily ritual and are looking for a way to improve that routine. All of our Full Spectrum Mycoproducts™ are 100% Certified Organic, American produced, and come with a satisfaction guarantee.